This precious book contains all the sermons, articles and book reviews on this vital subject by one of the most brilliant theologians America has ever produced. Sinclair Ferguson, author and pastor, said, "I commend these pages, as one who has continually been helped by their contents. It is a treasure to be enjoyed again and again." "I commend these pages, as one who has again and again been helped by their contents. 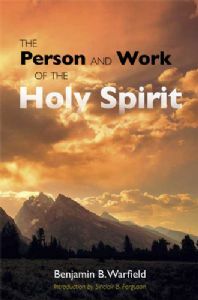 You have put us all in your debt by publishing this fine selection of Warfield's material on the person and work of the Holy Spirit. It is a treasure to be enjoyed again and again." "Some have characterized the 19th century Princeton theology as too rationalistic and void of reformed spirituality. Of course, the charge is untrue. This work by Warfield demonstrates that Princeton not only was a champion of evangelical and reformed apologetics but the heir and conservator of a biblical, informed, and experiential doctrine of the Holy Spirit. Gratitude to you for conceiving this project." "Warfield's reputation as a scholar obscures the extent to which he was also concerned about living the Christian life. These sermons and articles on the Holy Spirit show that concern in full measure. In this volume we see more of Warfield's concerns and may be encouraged in our own understanding of the Holy Spirit today." "These sermons, articles, and book reviews, collected from Warfield's writings, show the genuine stamp of Reformed experiential piety that rested on the great 19th-century Princeton theologians. The sermons on the leading and sealing of the Spirit are themselves worth the price of the book. Would you like guidance in learning how to live more closely to Christ, how to walk more by faith through the Spirit, and how to wrestle at the throne of grace? Read this book prayerfully, both for clarity of mind and warmth of soul with regard to the person and ministry of the blessed Spirit. 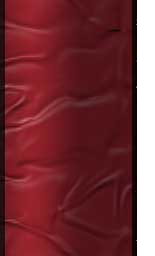 Let Warfield be your spiritual mentor in the great things of God."